In the aftermath of widespread flooding in the Tyrol region of Austria in 2013, SKS 365 Foundation decided to assist those whose lives and property were badly affected. The idea was simple: On June 7 2013, for every EUR 1 bet on the Austria v Sweden World Cup qualifier in Live Betting on PlanetWin365 Platform, PlanetWin365 would match the amount and donate EUR 1 to the victims of flood relief in Tyrol. So win or lose, a significant donation would be made. Austrian Country Manager Florian Bernsteiner was delighted to hand over a cheque for more than EUR 30,500.- to Herbert Peer, Coordinator of Netzwerk Tirol. Netzwerk Tirol was founded in 2010 and has since overseen hundreds of charity projects in the region. 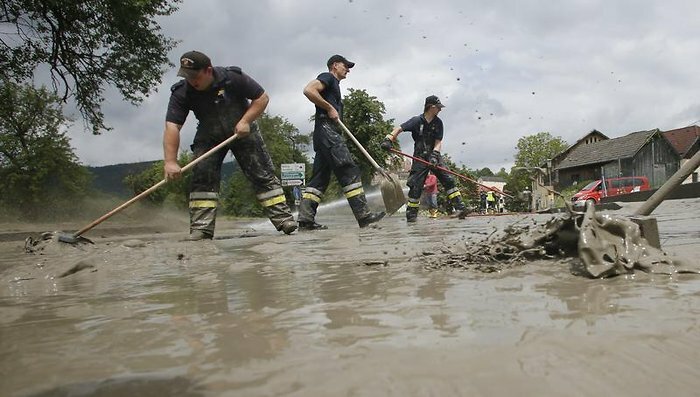 The charity movement passes 100% of its fundraising to Tyroleans who, for whatever reason, have fallen upon hard times, such as for example, the victims of the 2013 flash flooding.